Do you have a human pen pal? Max’s pen pal is a dinosaur! After a school trip to the museum, he writes a letter to the mighty T. Rex there – and the T. Rex writes back! Want to know what he says? (Pssst – course you do.) Just open the letters and cards in this book to peek at them! The T. Rex has been around a LONG time. He has lots of stuff to tell Max. What will he think of Max’s life as a human boy? 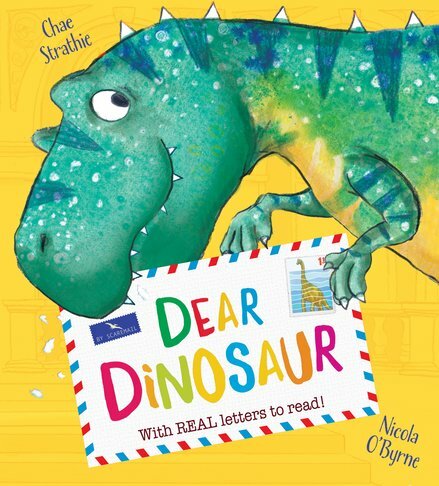 As Max and T. Rex learn about each other, a quirky friendship develops in this funny story, which includes REAL letters to open!